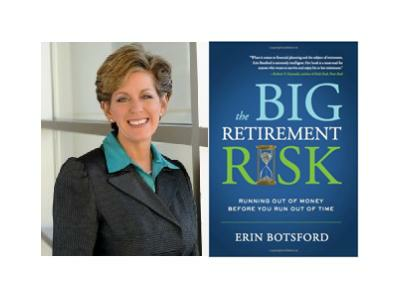 Erin Botsford is the founder and CEO of The Botsford Group. She has poured her knowledge and experience into a new book that is sure to answer the many questions we all have when it comes to financial matters. The Big Retirement Risk teaches people how to craft an investment strategy to protect your savings and create the lifestyle you want when you retire. With all the fear of another economic slow-down or even collapse, Botsford brings some much needed clarity and advice. Erin’s personal story of overcoming poverty and adversity in her early life, to becoming one of the top financial planners in the country, has been featured in numerous articles and publications. Involved in a terrible car accident at the age of 16, Erin learned the hard way that money buys a person choices and resolved to learn everything she could about money and financial planning. 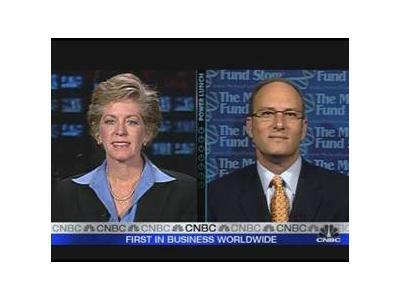 Her resulting business success has been recognized by publications such as Barron’s, D, Success, and Investment News, and she has been featured on CNBC, Fox News, and Bloomberg Television. Originally from San Diego, CA, Erin resides in McKinney, Texas with her husband, Bob, a pilot for American Airlines. She has one son, Kevin, currently serving as a Captain in the United States Air Force.